Once again, Lent has come to a close. As is my tradition, I give up shaving for Lent. It’s been more of a long standing joke than anything, much to the chagrin of pretty much everyone. But since 2009 I have been growing a beard, then taking it off in stages on Holy Saturday. I try to get as many different beard looks as a I can from the one beard. I’m following this awesome beard quest project that I found ages ago. It’s so great. I’ve pretty much got them all now–at least the ones you can do in a month and a half of bearding. Clean Cut White Boy Status: Confirmed! It is also important to note that Phoebe was the photographer and art director on the set today. We decided to go for an open, airy, lifestyle type look with one flash to augment the natural light. She coordinated wardrobe to match the beard looks. She framed all the shots and did a great job. Thanks also to the Nikon Df and the 85mm 1.8G. So, in conclusion to the bearded Lenten Journey, surely Christ the Lord has borne our griefs. We esteem Him stricken, smitten and afflicted. He died for me, I’ll beard for Him! 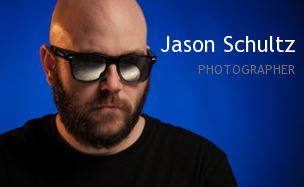 This entry was posted on March 26, 2016 by schultzphotographic. It was filed under Flash Photography, Uncategorized and was tagged with Lent, Lent 2016, Lent Beards.